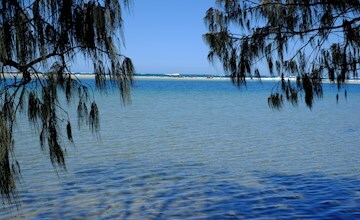 Tangalooma is the Gateway to Moreton Island. 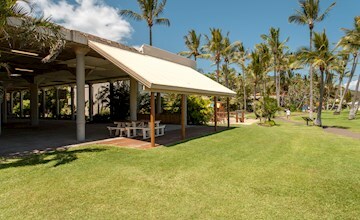 Just a 75 minute ferry trip from Brisbane, Tangalooma Island Resort provides Brisbane’s closest access to the beautiful Moreton Island, home to amazing natural flora and fauna. Moreton Island is the third largest sand island in the world and located only 40 kilometres north-east of Brisbane. 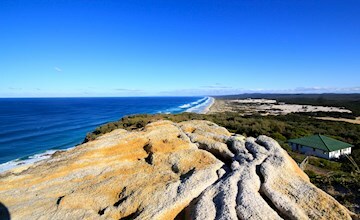 The Island consists entirely of sand, apart from a small area of sandstone and rhyolite at Cape Moreton, which has built up over the past 400,000 years. It is also home to the highest coastal sand dune in the world, Mount Tempest, which at 285 metres provides 360 degrees of breath-taking views. 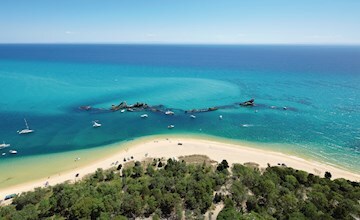 Moreton Island is one of the least polluted and least disturbed coastal environments along the Queensland/New South Wales coast. These sand hills are all amazing because they a free from vegetation. 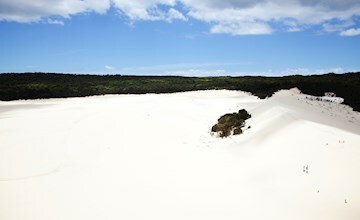 The wind shaped dunes of the Big Sandhills rise up to 60 metres above their base. 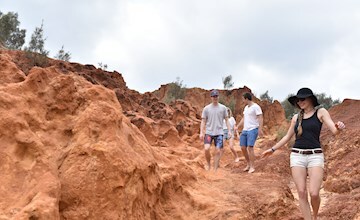 Unlike most freshwater lakes, which are fed by local freshwater streams or rivers, Blue Lagoon is filled from rain water which simply soaks into the sandy soil. 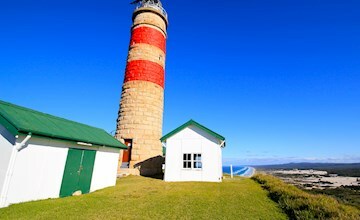 The iconic red and white banded Cape Moreton Lighthouse is located on the Northern point of Moreton Island and was the first lighthouse to be built in Queensland. 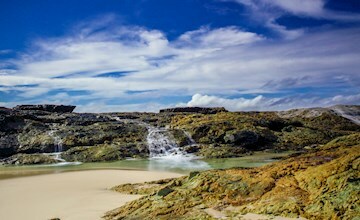 The Champagne Pools on Moreton Island get their name from the sparkling ‘champagne’ effect created as the ocean wave’s crash over the volcanic rock and sandstone break wall. 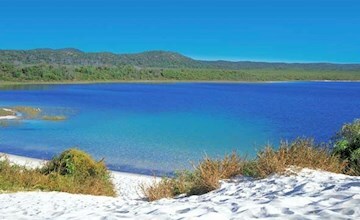 A lake on Moreton Island has found a new lease of life after a group of Chinese visitors to Tangalooma Island Resort, realised it resembled the shape of a wild dolphin. Kooringal, located on the Southern end of Moreton Island, is a sleepy little town consisting within the governing bounds of Brisbane. 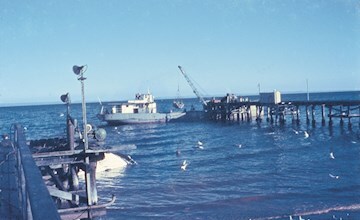 The notable highlights of Kooringal include the Oyster Farm and Gutter Bar. Between the rocky Cape Moreton and North Point lies Moreton Island’s picture perfect Honeymoon Bay, it looks like something from a movie. 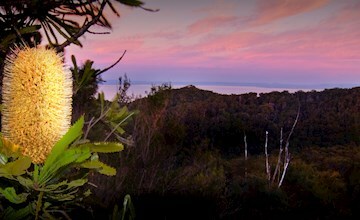 Visit a piece of history as Tangalooma was once the largest land based whaling station in the southern hemisphere. Located just north of the Tangalooma Island Resort are the Tangalooma Wrecks, a cluster of 15 ships sunk by the Queensland Government. 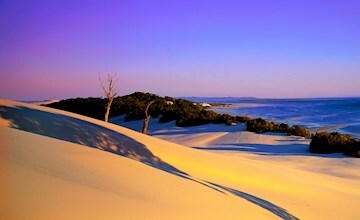 The Desert is a large area of Moreton Island that is formed by natural erosion and is constantly changing shape thanks to the wind moving the sand around. Situated at the base of Cape Moreton on the eastern side of Moreton island, lies Harper's Rock, a strange cluster of red sand formations. Middle Road is firm and trafficable sand based road that connects the Western (Moreton Bay) and Eastern beaches via two one-way tracks. 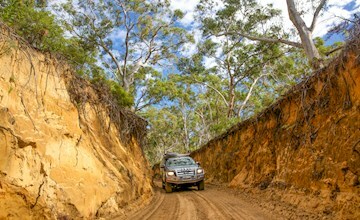 Middle Road is surrounded by the dense bushlands of Moreton Island. Mirapool Lagoon is cut off from the ocean by a long narrow sandbank, providing a beautiful strip of yellow sand between the blues of the lagoon and ocean. The crystal clear waters are a unique combination of fresh and salt water, as the ocean water spills in with each high tide. 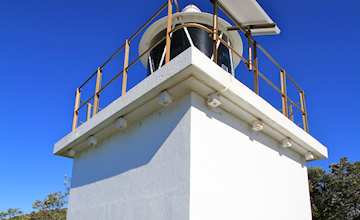 The North Point Light, also known as North Point Hummock Light is a smaller lighthouse is located on the Northern Point of Moreton Island, in close proximity to Honeymoon Bay and the Champagne Pools. 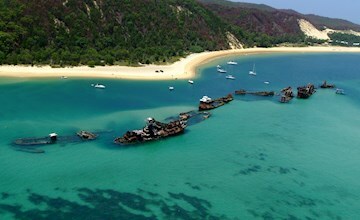 Moreton Island National Park covers approximately 98% of Moreton Island in Queensland, Australia. 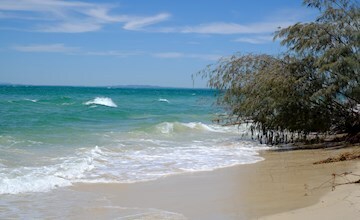 Moreton Island is 58 km northeast of Brisbane and has three main townships, Bulwer, Cowan Cowan and Kooringal. Moreton Bay Marine Park includes the waters of Moreton Bay, from Caloundra to the southern tip of South Stradbroke Island, extending three nautical miles seaward from Moreton Island and North and South Stradbroke islands. The region and indigenous people of Moreton Bay and its island are referred to as Quandamooka. 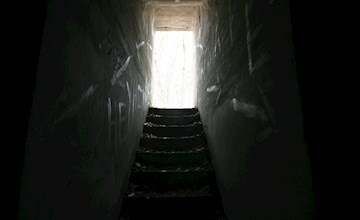 These include the Ngugi tribe on Moreton Island and the Gorenpul and Nunukil clans on North Stradbroke Island. While much of the remains are sunken into the sand, some of the concrete fortifications can still be seen today and make for an interesting location for photo opportunities. 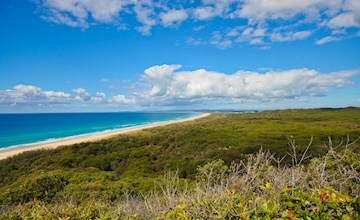 Moreton Island is famous for it's range of iconic beaches just off the coast of Brisbane, with many often being listed as some of the top beaches in Queensland. 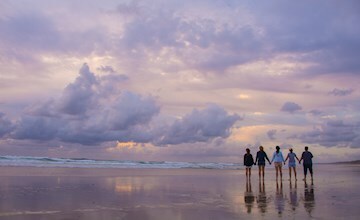 Moreton Island enjoys a moderate subtropical climate year-round, with temperatures averaging 22-30 degrees celsius by day in the Summer. Moreton Bay Marine Park was established in 1993 to protect the ecologically significant habitats of Moreton Bay. 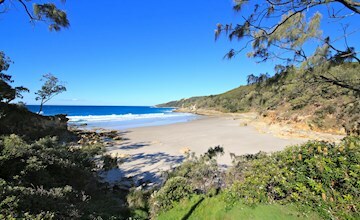 It stretches along 125 kilometres of coastline from the Gold Coast to Caloundra, covering 3400 square kilometres and is managed by the Environmental Protection Agency (EPA). 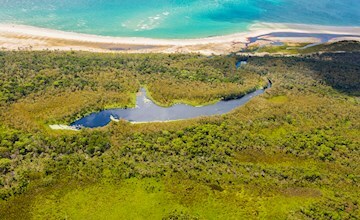 Moreton Bay Marine Park is internationally listed as a RAMSAR wetland, meaning that it provides a vitally important feeding and roosting site for migratory and resident shorebirds. Moreton Bay Marine Park is the only place in the world where significant populations of dugongs and turtles can still be found close to a major metropolitan centre.